We need this timer to go beyond 60 minutes. I honestly did not know that the "Fancy Timer" widget can only record up 60 minutes. Did you try it? Does it stop recording after 60 minutes? Can you confirm? You are now using the "Timer" widget. Does it resolve your problem? I'm trying both widgets now, just to see :) But I'd appreciate if you can confirm the above. I have reported this to our widget team. 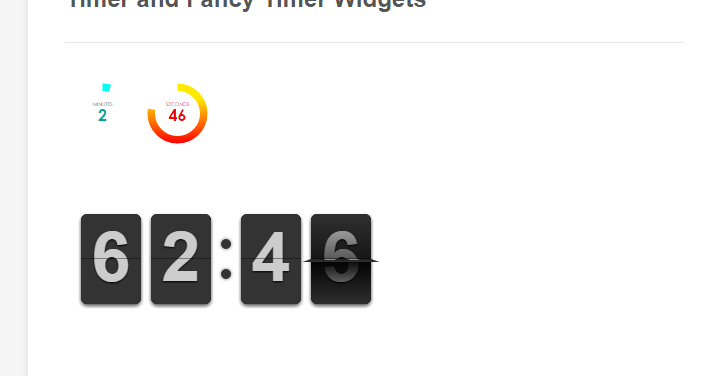 For the meantime, use the "Timer" widget. It should go beyond 60 minutes, as you could see in my screenshot. other things. No multi tasking. Fancy timer does not go past 60 minutes . However, this one multi tasks. Yes, I've noted that in the ticket. Thank you for the additional information. We'll let you know here as soon as we have updates. We haven't received any updates from our developers yet, and I'd also like to add that we cannot provide you with an estimate on how long it might take to get this widget functioning in the way you intended. Our developers work on many different issues and they have to prioritize tasks, based on how many users any issue might affect, and how pressing the issue is. I see that this is already assigned to one of our developers, but for the above mentioned reasons, it doesn't mean that the functionality will become available as quickly as you may be expecting it. As soon as it gets implemented, or of we receive similar updates from our devs, we'll make sure to let you know through this support thread. Hi thank you for reporting this issue. We apologize for any inconvenience. Today we made a patch to the widget and it should pass 60 minutes now. Please test it out and let us know if the problem still persist. form, the timer has been running for close to 2 days. 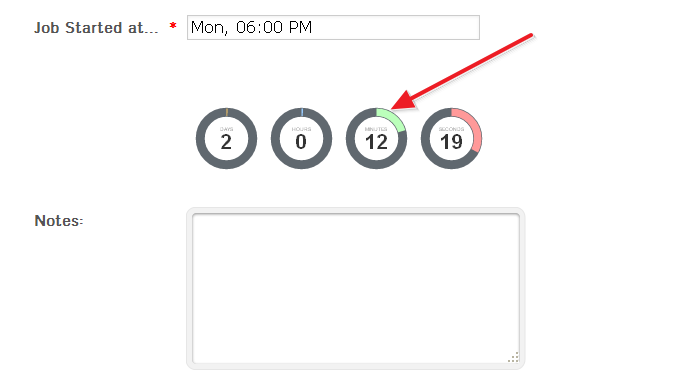 I have also added this widget to another form, and it reports the same elapsed time. Let me forward this to our developers again, they'll check what might be causing the issue. In the meantime while this is being worked on, you may want to use our ordinary Timer widget, I see that it correctly starts when the form is loaded. Thank you. Hi, well that is really weird however I just tried you form and it looks fine to me. Maybe you loaded a cache version of it and our server didn't clean our internal changes. Can you please try it again? Let us know if the problem still persist.